Broadway Technology will offer institutional investors services for cryptocurrency trading. 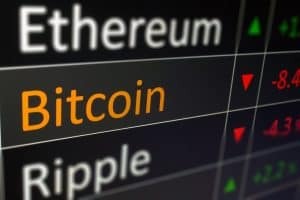 A trading systems provider for fixed income and foreign exchange (FX) is stepping into cryptocurrencies and offering support to institutional investors trading the market. Broadway Technology has expanded its services to include cryptocurrencies as another major asset class for its end-to-end FinTech tools, which are currently used by both buy and sell-side clients, including 20 of the world’s largest banks. The company stated that while the cryptocurrency market has typically been tailored for retail investors, institutional investors looking to enter the space require fast adaptable and ‘future-proof’ trading systems. Broadway Technology’s chief executive and high-frequency trading specialist, Tyler Moeller, emphasised that the cryptocurrency market has seen unprecedented growth of more than 800% over the past 12 months. “Broadway is the only institutional-grade platform that is able to meet the needs of the next wave of professional traders entering the highly-fragmented crypto market,” he said. Jonathan Fieldman, chief operating officer at Broadway Technology, added that firm’s expansion into cryptocurrencies was a natural progression for its existing multi-asset services. “With the proliferation of new cryptocurrencies and derivatives, the diversity of trading models and market participants, and the potential for regulation, Broadway is well positioned to lead the institutional market for crypto trading solutions,” Fieldman said.